According to Daily Mail psychologist, Dr Nick Norris "Relaxation CDs can be effective, working by distracting us from our worries. They also help alleviate some of the physical symptoms associate with stress, such as muslce tension or rapid breathing." This deeply relaxing track helps you unwind and de stress. The suggestions help you be more relaxed in your daily life, get better sleep, be more confident and feel more in control. 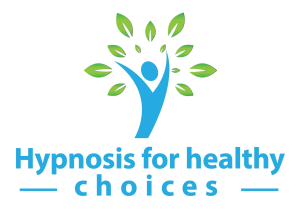 Hypnosis has been shown to be an effective and powerful tool in managing and reducing stress and with Relaxation and Stress Management , it takes just half an hour in the privacy of your own home to feel refreshed, calm and confident. At less than the price of a pizza it is becoming a popular way to manage stress, meaning you wont have spend half your salary travelling to a Buddhist retreat to relax! This highly effective self-hypnosis track plays soothing background music while the calming voice of qualified clinical hypnotherapist Maggie Howell takes you into a state of guided relaxation. This will not only help you deal more effectively with stress but also get better sleep, feel more in control and able to deal with all the challenges that you face. Simply lay back and listen to help your mind and body let go and relax. Everyone experiences entering a state of Hypnosis many times a day. It has nothing to do with being on a stage and acting like a chicken! It is in fact a natural state when our conscious mind has a bit of a rest, for example reading your favorite book, watching a film or driving on automatic pilot. It is a pleasant, dreamy experience when you are still "in control" but benefiting from a mind break. The CD helps you to enter these same natural states with intention, when you choose to and with awareness. You learn a systematic method that allows you to enter a safe, deeply relaxed state, in which you can communicate directly with your sub-conscious and absorb beneficial "suggestions". Practicing self hypnosis leads you to being more and more relaxed, to having better affect management (how you deal with life and those around you) and equips you to safely switch off the triggers that cause you stress or anxiety.